That provided the late English designer with the impetus he needed and his response was both swift and bang on target. 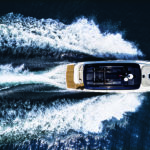 He came back to the owner with a new design for a 58-metre with a reverse sheer that flicks into a concave sheer aft of the superstructure. Having got what he wanted from Dubois, the owner decided to be equally bold with the interiors. He threw down the gauntlet to Rick Baker and Paul Morgan who have been creating bespoke furnishings for his homes and offices for over two decades. 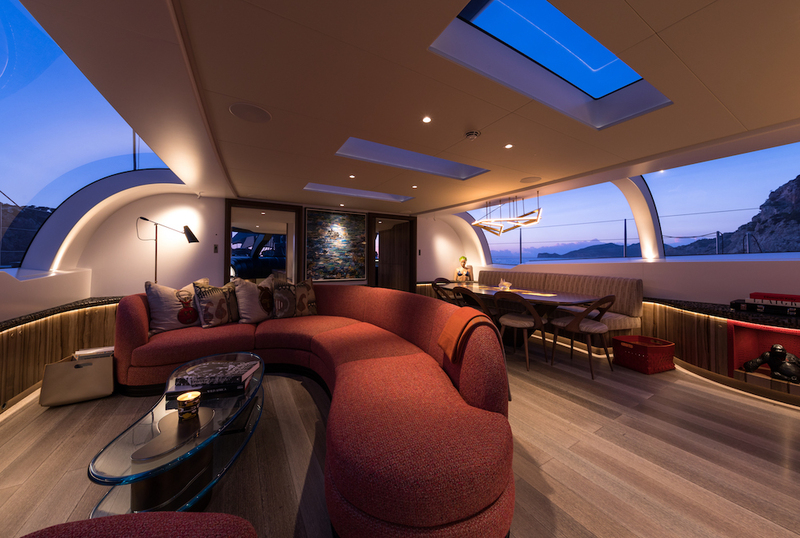 The duo accepted the challenge with relish, producing a look that instantly catapulted them centre stage of the yacht interior design world. 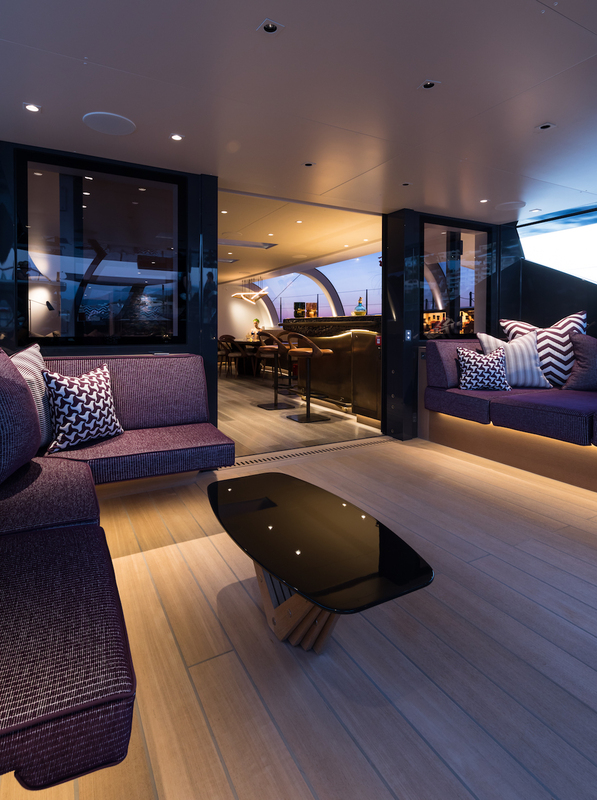 Once again the owner was clear and uncompromising: “Don’t design a traditional yacht interior,” he commanded. Instead he ordered flowing curves interspersed with organic detailing and unique materials. An interior with a masculine feel, which was to be broken up with punches of vibrant colour. 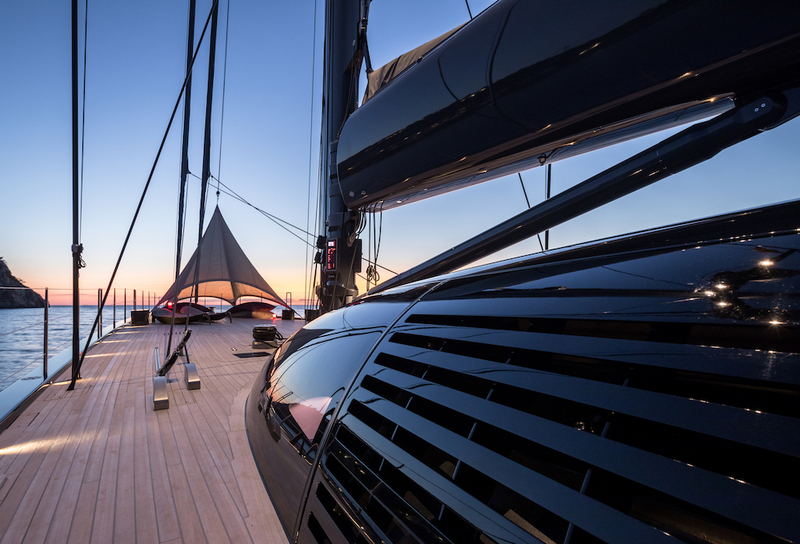 The resulting masterpiece of design is coupled with a spectacularly high-tech rig complete with a sky-scraping 75-metre mast to produce a yacht that will definitely leave her mark on the sector. 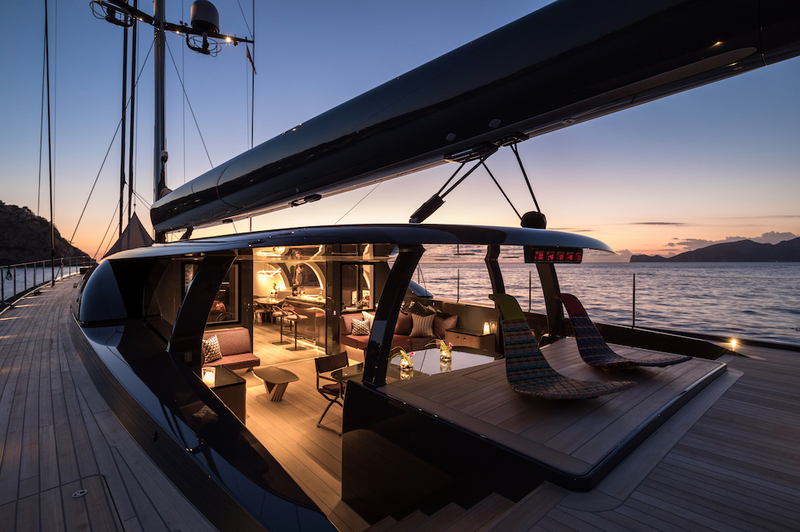 Those seductive yet edgy lines apart, the owner also decided to do without a superyacht sundeck to make space for a futuristic deckhouse with lushly curved, optically-flawless wraparound glazing on the deckhouse. This is not simply a virtuoso engineering feat but also guarantees absolute and unbroken contact with the outside environment. 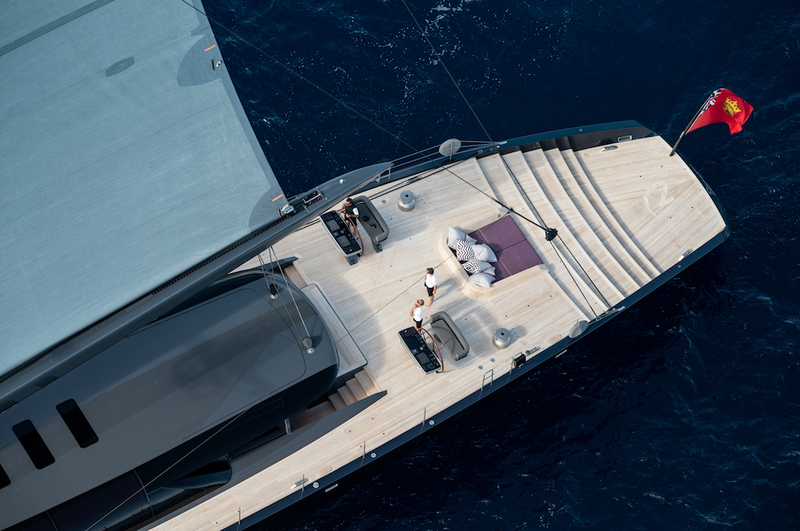 Perhaps by virtue of the fact that this is their first sea-borne project, Baker and Morgan have really wiped the slate clean for the yacht design sector, particularly the sailing segment. 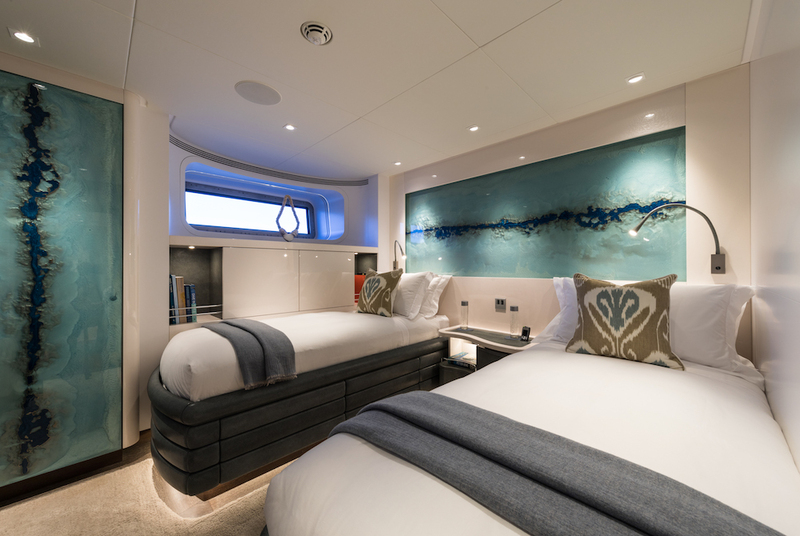 The design is both dazzling and minimalist at once with just the owner’s suite and two guest cabins (one a twin, the other a double). 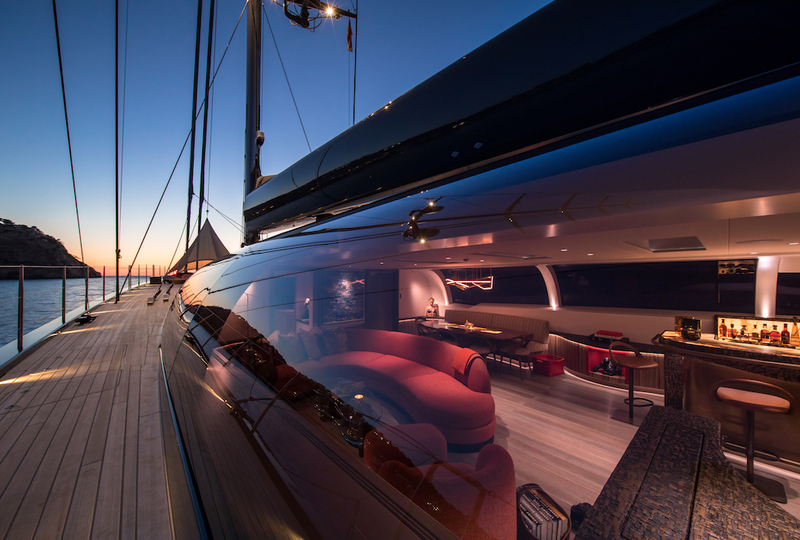 Royal Huisman’s input was invaluable too and really upped the bar for a sector that can often veer towards the self-referential. Most of the lines are spare with a focus on the texture and tactility of the materials used, their uniqueness and masterful crafting. 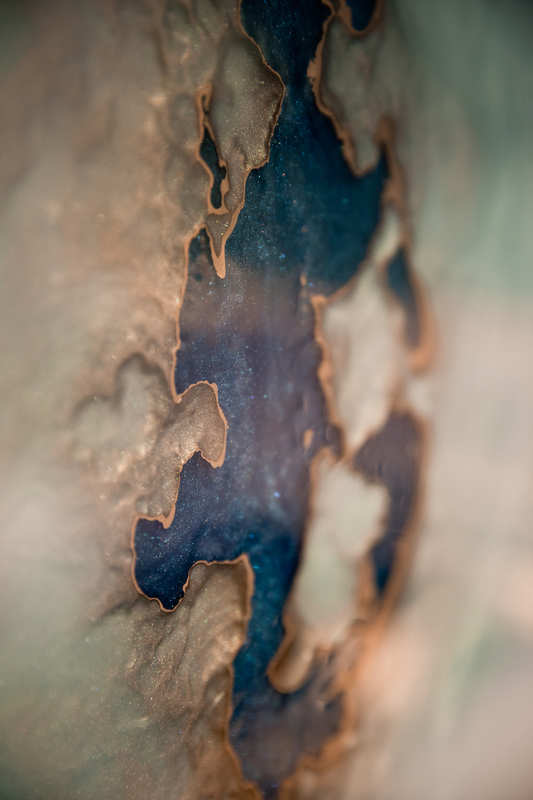 For instance, many of the panels used for the closet doors and headrests and made from resin, metal and limestone by English specialist Officina Coppola, seamlessly meld art and craft. 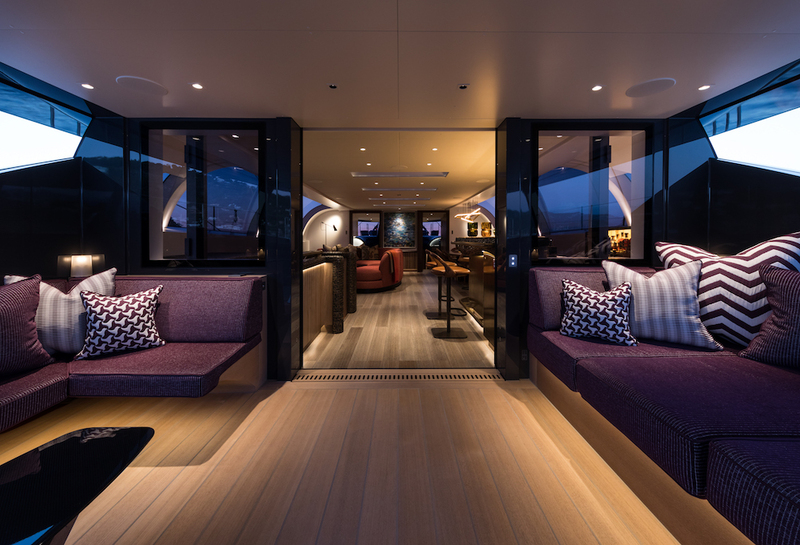 Impeccable detailing, such as the textural split-wood surround on the stairwell connecting the decks, and haute gamme brands not normally seen aboard (think the handmade J.C. Birtles door handles and Davique hand-painted marble in some of the bathrooms) set Ngoni apart from her superyacht rivals. 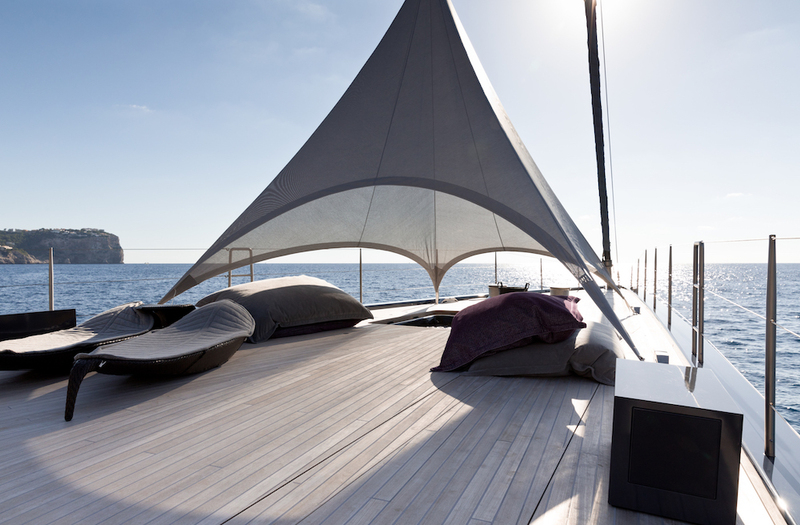 The artworks aboard and their positioning are equally unconventional. 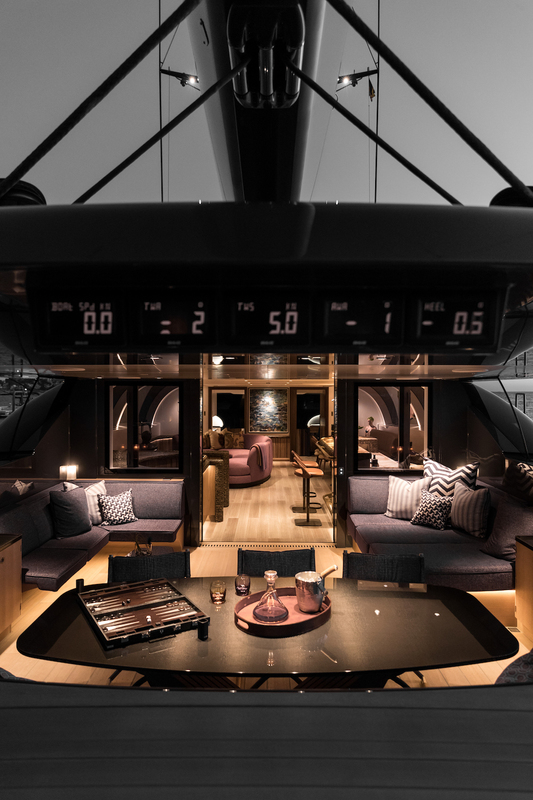 The end wall of the deckhouse, for example, features a seascape collage by Brazilian artist Vik Muniz while other quirky pieces are dotted cleverly about: a suspended rhinoceros sculpture by Stefano Bombardieri takes pride of place on a saloon unit, while a bust of a bikini-ed woman with a 1960s artichoke-style beehive sits beside the dining table like an eccentric guest. 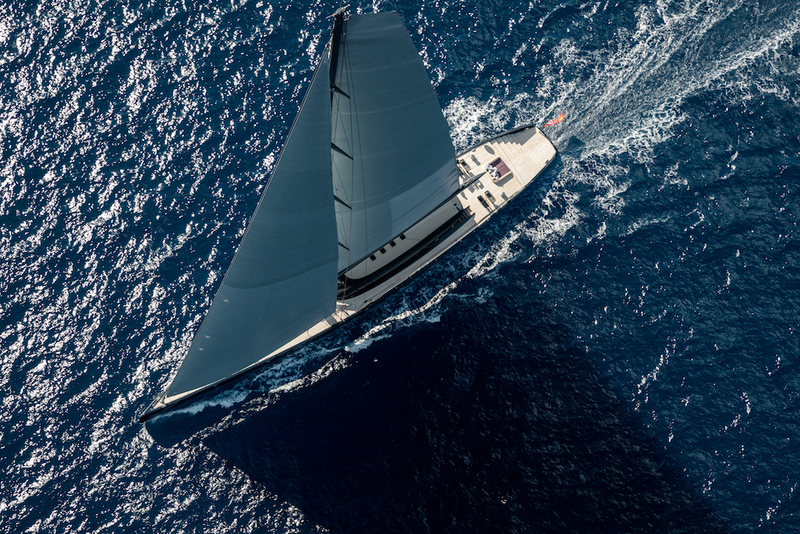 Ngoni wears her dual identity as a racing and a cruising yacht lightly as her exteriors brilliantly illustrate: alongside the sculptural carbon wheels and high-tech boom, a curving staircase descends gracefully to sea level beneath a casual sunning/social area which also connects to the owner’s suite by a secret passage.